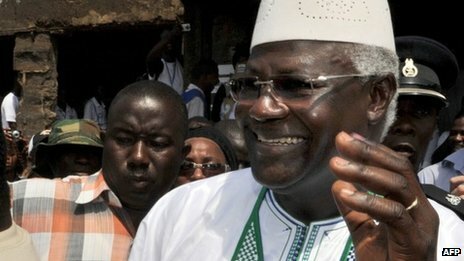 In July last year, the World Bank signed a $16 million project financing agreement with the government of Sierra Leone. It said that: “The project will contribute to improving access to electricity in rural areas, through a pilot program for installing PV systems in schools and hospitals in one village in each of the 14 administrative districts in the country.” What happened to that money? Yesterday, the World Bank announced it has this week signed yet another agreement with the government of Sierra Leone for $52 million. More is not always the best policy, when what has gone before cannot be accounted for. Although this $52 million financing package is not new money, it follows the Bank’s announcement last December, that it will invest in developing the country’s ailing energy sector, as well as help improve the management of Sierra Leone’s public finance. It said that; “In addition to the $12 million IDA funds, there is a $28.50 million PFMIC project which is co-financed by a Multi-Donor Trust Fund (for US$13.00 million), with contributions from the UK Department for International Development (US$11.19 million), the EU (US$1.81 million), and the African Development Bank (US$3.50 million).” Where is all that money gone? Why is poverty still rising in Sierra Leone? Serious questions are also being asked about the tens of billions of dollars that have been poured into the country by the international community since 2001. And despite incurring massive national debt in the last six years, which now stands at more than a billion dollars, Sierra Leoneans continue to suffer abject poverty, poor health, rising unemployment, poor sanitation, lack of safe drinking water, and environmental blight. The publication of a damning report by the country’s national audit office last year, brought widespread condemnation of the Koroma government. Poor governance and the mismanagement of public funds were the main highlights of the report. Critics of the government say that in the absence of strong leadership and a clear strategy for the development of the economy, based on the promotion of small and medium-sized indigenous businesses, unemployment and poverty will continue to rise. But the World Bank is making its priority clear. It says that tackling energy supply and the management of the country’s finance is significant, with a budget of $40 million and $12 million respectively. “This sparse electricity coverage and unreliable service exacerbates poverty conditions among Sierra Leonean citizens, and frustrates productivity and competitiveness of firms”. In response to the desperate need to overhaul the country’s electricity sector, the government says it will reform the sector by breaking up the National Power Authority (NPA). It will establish two state-owned enterprises, responsible respectively for electricity generation and transmission, and distribution and supply. But few in Sierra Leone believe that more state ownership is good for the country’s prosperity. Government cannot run business. And when it does, it fails miserably, as the Koroma government has proven. But it seems lessons have not been learnt. Yet the World Bank believes that: “This energy project is extremely important for Sierra Leone’s transformation as there can be no development without electricity” said Yusupha Babatunde Crookes, World Bank Country Director for Sierra Leone. Most people would agree. But is more government ownership good for the people of Sierra Leone? Sadly, that statement could have been made in 1961 when Sierra Leone achieved independence. But after 50 years of self-rule, development and good governance are nowhere in sight. And people are asking – why? The Bank’s Country Director agrees that fiscal discipline is very crucial in ensuring effective implementation of projects. He said; “we are encouraged by the leadership the Finance Ministry has shown and we are optimistic that these projects will be fully and effectively implemented”. In response, finance minister – Kaifala Marah said that; “electricity is the backbone to development and the government is committed to providing uninterrupted electricity supply by 2017, especially in the city and regional headquarters”. The Minister of Finance also acknowledged that “prosperity comes with discipline” and assured the World Bank team that the funding will be properly utilized. But the country’s media is highly critical of the government’s ability and conviction in managing public funds. Answering questions from the media during the press conference, the Country Director – Yusupha Babatunde Crookes said that there is a strong partnership between the World Bank and the government which, has delivered impressively on many of the funded projects. “Because of this success, the IDA is committed to spending over $180 million in Sierra Leone over the next three years”. But there are problems, and the head of the World Bank in Sierra Leone knows all too well, the controversy surrounding the legality of the World Bank funded fibre optic programme in Sierra Leone. There have been accusations of corruption, impropriety and recriminations, as the former minister of information and communications – I.B.Kargbo was sacked from his job. Millions of dollars cannot be accounted for, and critics say that shares sold during the floatation of Sierra Leone Cable (SALCAB) Ltd., – a private company established to manage the fibre optics programme, has largely benefited ministers and their friends. The World Bank manager – Crookes, is said to have acknowledged that there are ‘hiccups’ with the fiber optic project, and said that the World Bank is in conversation with the government regarding adherence to the agreement which formed the basis of the funding. “We signed an agreement based on research and mutual conviction that liberalizing the international gateway, is the best option in broadening the internet coverage and lowering the prices”, says Mr. Crookes. 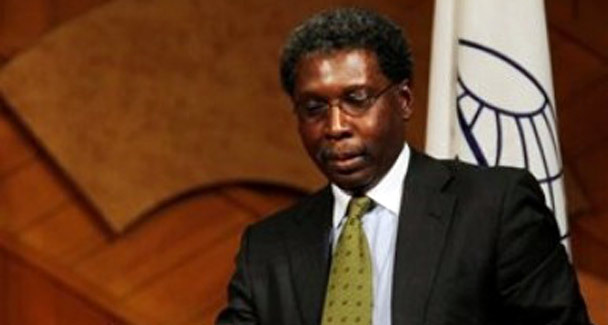 Media concerns about the role of the World Bank in managing and monitoring funded projects effectively, were said to have been addressed by the Bank’s Manager – Francis Ato-Brown. But writing in the Global Times Newspaper this week, editor – Sorie Fofana is in little doubt as to why the fibre optics programme is in a mess, as he echoes the thoughts of the majority of independent analysts. “We have read in a local newspaper that the former Minister of Information and Communications, Alhaji I.B. 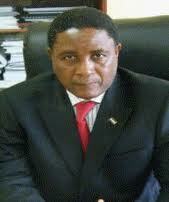 Kargbo had no authority to sign the SALCAB divestiture of shares agreement. “Be that as it may, why can’t the Minister of Finance and Economic Development be asked to sign the agreement now, if that is what is required? “When President Ernest Bai Koroma was on an official trip to Ethiopia, who convinced him to meet with a World Bank team, in order to start negotiations for a US$ 31m loan for the landing of the fibre optic cable in Sierra Leone? “Who hurriedly advised Alhaji I.B. Kargbo to sign the divestiture agreement? Who were present at the signing ceremony? “Why did the World Bank not raise an objection when Alhaji I.B. 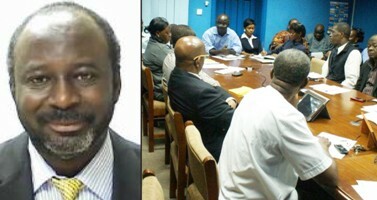 Kargbo signed the agreement on behalf of the Government of Sierra Leone? “If Hon. Alpha Kanu has suddenly discovered that the government can make money out of the divestiture programme, let him change the agreement in the interest of the country. After all, what is wrong with that? We know how some of these telecom operators are milking this nation dry. 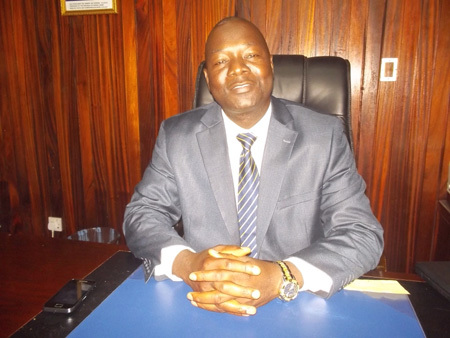 “Talking about projects in the Ministry of Information and Communications – what has happened to project vehicles belonging to the West African Regional Communications Infrastructure Project (WARCIP) managed by Julius Kamara? “Who has diverted some of the project vehicles to his personal and family use? “Whose son was driving one of the project vehicles when it somersaulted on its way to Port Loko? “Whose girlfriend is now using one of the vehicles to conduct her private business in Freetown? “Who bought rotten generators for the fibre optic landing site at the back of Atlantic Bar/Restaurant on Lumley Beach Road? US$ 31m loan from the World Bank. Is the World Bank taking these genuine issues on board, or is it happy to continue pouring money into a black hole in Sierra Leone, whilst ministers launch a reign of terror on journalists who are exposing their dirty dealings?